Hi, my name is Jenn and I am addicting to teaching. A lot of my brain is consumed by this Common Core leadership thing I have gotten myself into. I am feeling kind of stressed that I am the only one at my site (20ish in the whole district) to pilot this. I keep looking over my yearly plan at what I will need to change. I am still not 100% clear if somethings are still mine to teach or not. 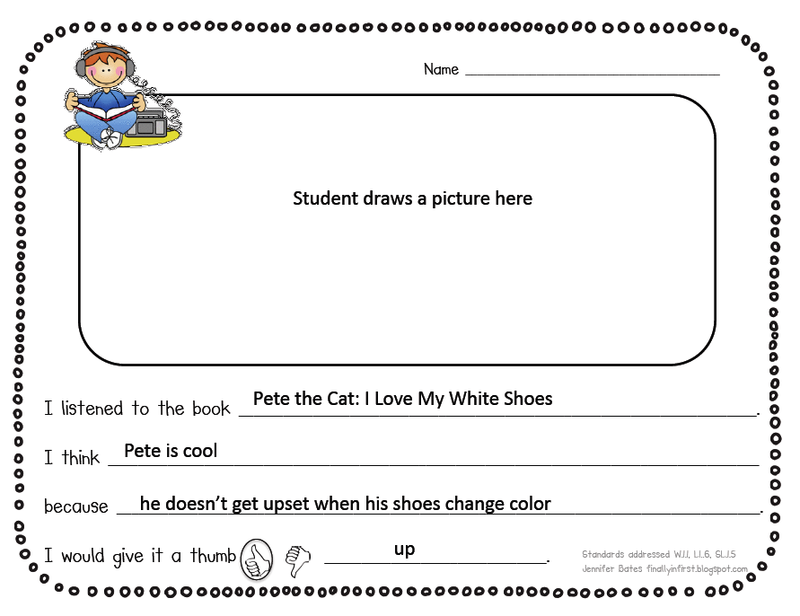 For example, I am not seeing contractions or compound words as a first grade standard. Anyone who is teaching/learning common core want to chime in and tell me if I am correct on that? What are the other changes you have noticed? I bet a conversation on this would help a lot of us. One of the things I am trying to do is tweak what I already do to make it fit the standards better. I adjusted my listening center response sheets. These are FREE in my TpT store. 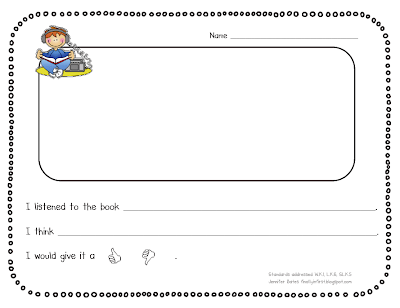 1st grade: I filled this one in as an example. When I made my contraction shakers last week, I noticed that contractions don't seem to be in the first grade section, but I didn't really look much into it. 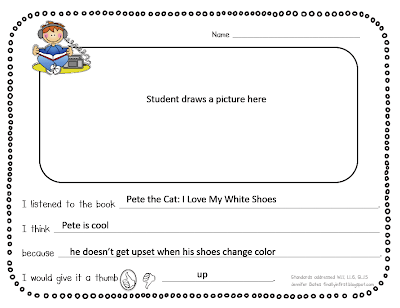 I teach a scripted reading program and in first grade they teach contractions and compound words so I guess I will keep teaching them this upcoming year! I couldn't find them either. I had them in my plans and went to list the standard and couldn't find them (contractions). I think I just listed a general grammar standard at the time because I could not find it and thought I was just a struggle bunny. That's the first mention of it in the CCS that I have seen. I haven't ventured above 2nd grade. Oh my...I'd be a part of your group. I went to school today and people think I'm crazy!! I'm still in work mode and have so much to do. Finally, I have time to get more organized, my binders put together to my liking, and now the common core! Plus I've been printing, laminating, and cutting like a mad woman. We're focusing on the common core writing and had 2 workshops. My mind has been completely consumed with needing lessons, a scope and sequence, and how to implement this. There isn't a whole lot out there in cyber world yet. 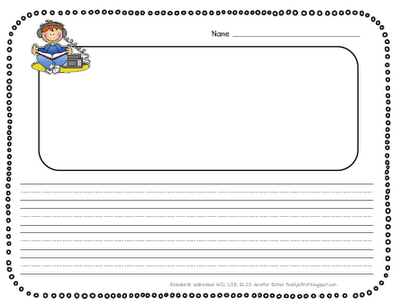 Contractions and compounds are second grade standards in CCSS, though I still taught them in first. Contractions is 2.L.2c and compounds is 2.L.4d. Good luck getting to know the new standards! I used them all last year for first, and I'll be moving to second this coming year so I feel waaaay too comfortable with them now. Haha! Hello, my name is Amber, and I desperately need to attend these meetings as well! How about we call ourselves sufferers of Summer Adjustment Disorder...or SAD. I actually was just "scolded" by my principal today for being up at school almost daily since the week after school got out! I a teacher turned homeschooling mommy, but I totally get it! I'm already planning for the fall! I LOVE to plan and play and change up what we are doing! You are not the only one! 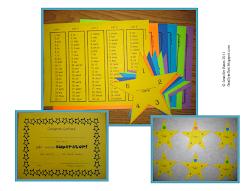 In my county we have revamped our grade cards to match common core and we have unpacked the standards for math and language. 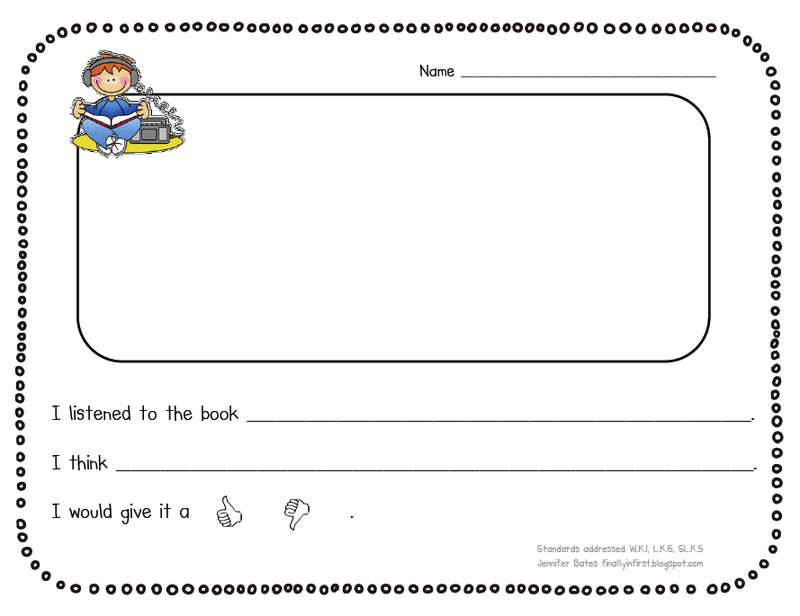 The contractions and compounds are both second grade although I still plan to introduce both as reading skills in first. I want my firsties to recognize them as they read but not necessarily spell them. 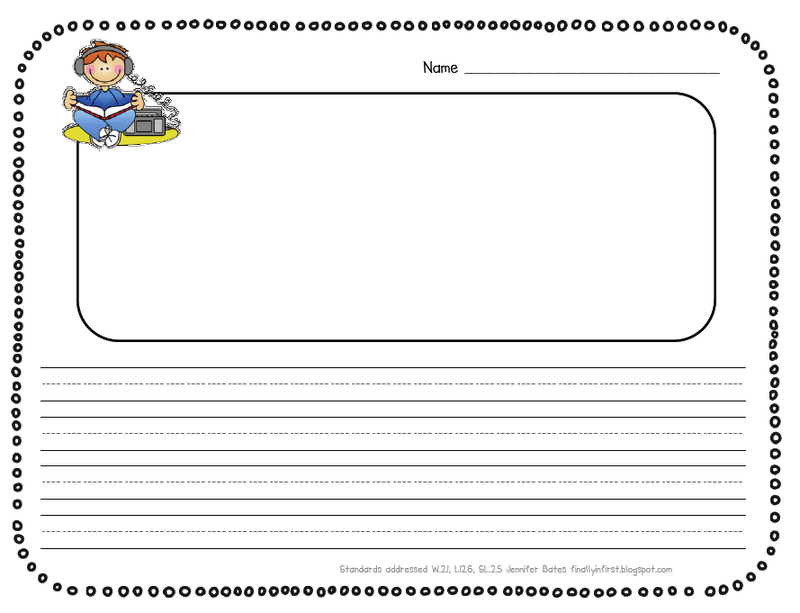 I have also created pacing guides aligned to common core. I've posted my math on my blog. We use Envision by Scotts Foresman so it follows that...somewhat. I based it on Lyon County's pacing guide. If you want to check either of them out you can go here for my blog (http://firstgradeandfearless.blogspot.com/)or here for Lyon County (http://www.lyon.k12.nv.us/education/components/scrapbook/default.php?sectiondetailid=885&). I hope this helps. 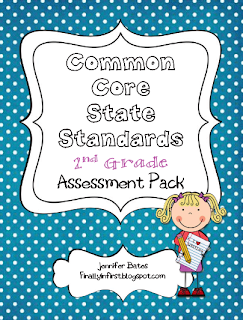 K-2 in my county have been working with Common Core for a year now and we still have questions. I appreciate you sharing what you are getting from your training! We are slowly moving to Common Core---it confuses me!! Thanks for the freebie! Love it! Ha ha. I think you're in good company, Jenn. I read,eat,think teaching all summer long. But I'm still very relaxed and refreshed when I go back in September! Love the Common Core Packets! 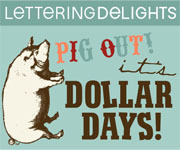 Anywho, I am new to the blogging world, and I just opened my blog and TpT store this week! I could use all the help possible to get some followers and linked up in other blogger’s favorites! Check out my blog and let me know what you think and I would love some suggestions! I need to come to your meetings! :) like you said, I Actually have the time to get stuff done now! We are moving to CCSS this year too, getting iPads and a new superintendent! It's going to be an interesting year to say the least! 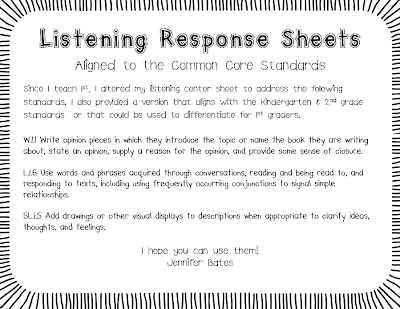 Your listening center response sheets look awesome. I think our to do list never ends and we are always thinking of ways to better ourselves!! Love the summer time to make new things! !